This is a project where a team of photographers have volunteered to capture images of the Powderhorn Park Neighborhood each and every day of the year. I have been assigned to cover Thursdays. 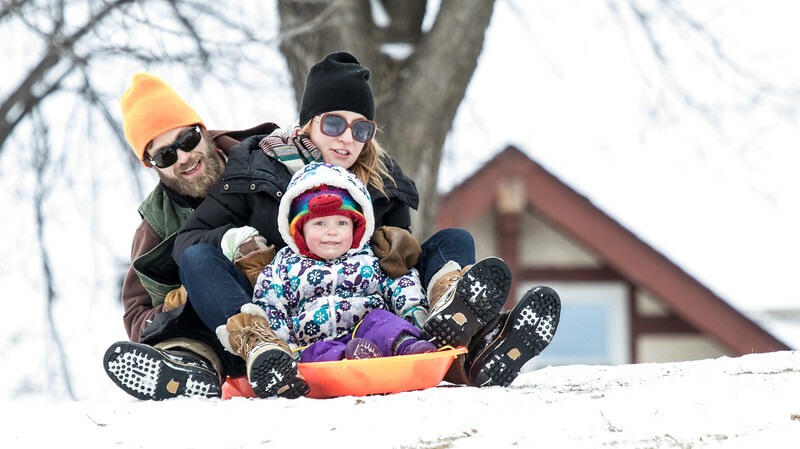 "2015 - A New Start" - This image shows Ben and Anne Marie Spidahl with Adaleida, enjoying the New Year's Holiday sledding at Powderhorn Park. Ben is a local carpenter and Anne Marie is an author. Her novel entitled "Nothing" was published November 26, 2013 by Two Dollar Radio under her maiden name Anne Marie Wirth Cauchon.